There are many symphonic metal bands, they are among the oldest, Sirenia from Norway. After five years with Tristania Morten Veland left the band because of artistic differences. Shortly after the birth of Sirenia suggested. Since then there have been many line-up changes, especially at the microphone. When the Spanish singer Aylin and guitarist Michael S. Krumins joined the band in 2008, the band founder seemed to have found a stable lineup. During this time, five studio albums were produced. However, the quality of the individual albums varied in some cases considerably. At two festivals, I was able to experience Sirenia live in this crew, including at the Dames of Darkness 2015 in Bilston, England. With the new voice at the microphone, the Frenchwoman Emmanuelle Zoldan, Mortan Veland however, seems to have found a new, inspiring muse. The 2016 album “Dim Days Of Dolors” was already much better than its predecessors. 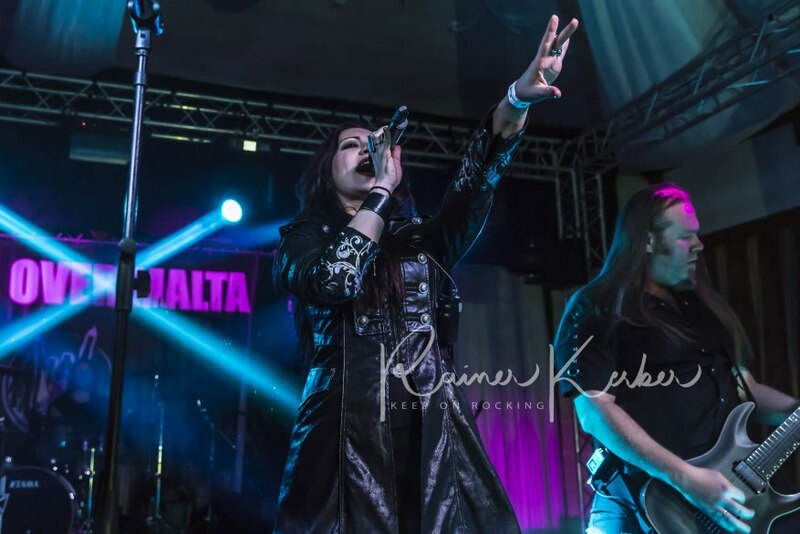 In this lineup, Sirenia made an impressive appearance at the Metal Over Malta Malta 2018. But “Arcane Astral Aeons” published in late 2018 is outstanding, for me the band’s best album. Here the Norwegians return to their roots. Part two of the “Arcane Astral Aeons” tour will start in February. On February 28, 2019 they will present their new album on historical ground, in Indra Club 64 on the Große Freiheit in Hamburg. The support bands might be less known in Germany. I only heard of the Italian melodic metal band Alight in relation with this tour. In April, their second studio album “Spiral Of Silence” was released. I really like the sound samples I found on the internet. Also Crossing Eternity were unknown to me until now. The band members are from Romania, Sweden and Germany. In June the third album “The Rising World” was released. On the other hand, Elyose from France are not a blank sheet for me. Especially with singer Justine Daaé I have been in contact with Facebook for several years. But so far, I have never been able to experience the band on stage. The greater the pleasure that we finally can meet us finally. Also, Elyose have a new album out. “Reconnexion” was funded by a successful crowdfunding campaign and was released in September of last year. With their industrial elements as well as the French lyrics, they are certainly the exotics of this evening. Tickets for the Indra show can be bought on Eventim. You can also experience Sirenia live in Bochum, Munich or Hanover. And in Europe amongst others in Oslo, Copenhagen, Prague, Budapest, Warsaw.